Do you maintain a record of usernames and passwords of all your WordPress sites? if yes then you probably know Manage multiple WordPress sites at once is a pretty hectic and time-consuming especially when you’re a developer or run an agency job. Luckily, WordPress has a built-in feature called WordPress Multisite that allows you to run multiple sites on a single WordPress installation. 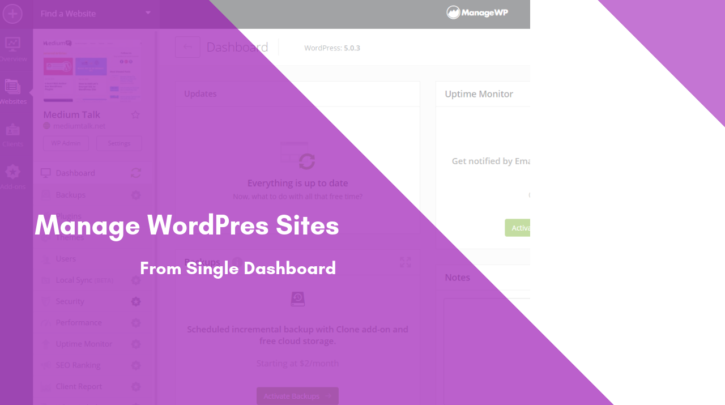 With this, you can run multiple sites from a single WordPress dashboard. WordPress multisite is different from multiple sites as you don’t need to run the different website and manage them independently on separate platforms while blogging through WordPress multisite. WordPress Multisite is not only scalable but also back n number of blogs altogether. With quick access to all the websites by just logging in once and easy management of them through a single dashboard provides an ease to the developer. And This feature allows you to work hassle free without getting tangled into multiple installations and logging in. This feature also provides greater exposure for your online business, providing value to the user, higher speed performance, and resource sharing. Let’s see how you can setup WordPress Multisites network. 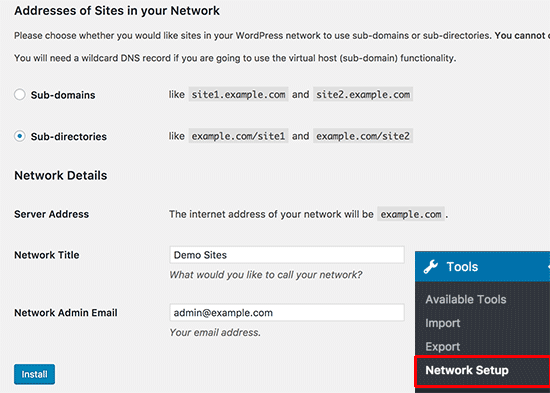 WordPress Multisite network feature comes built-in with each WordPress installation. 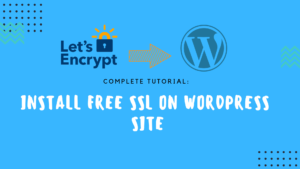 All you need to do is install and setup WordPress like you normally do. After that, you just need to enable the multisite feature. 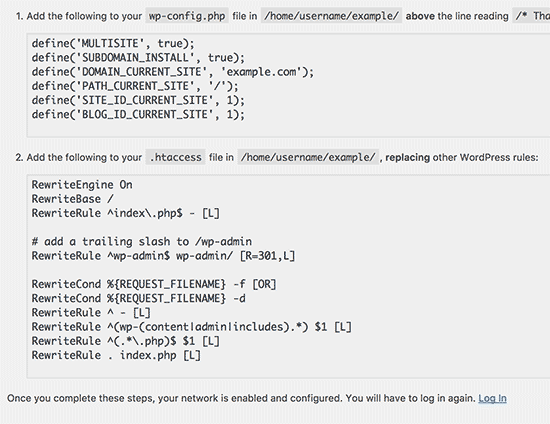 Once you are done, save and upload your wp-config.php file back to the server. now you will need to setup the multisite network. Before we proceed to setup it’s better to deactivate all plugins. Once enabled this feature, you can head over to Tools » Network Setup page to configure your multisite network. Here you need to decide what kind of domain structure you will be using for sites in your network, e.g. Subdomains or Sub-directories. After that fill up the Server address and Click on the install button to continue. On the next screen, you’ll get two codes that you’ have to add in wp-config.php and .htaccess. After that you will need to re-login to your WordPress site to access the multisite network. And you’ll noticed that WordPress Multisite is now installed. Though it might get stressful to manage all the sites on your own through several onboard surfing from one site to another, there are few tools which can be at your serenity through all this squabble. These tools can be chosen as per the number of websites you need to manage at a time, as each tool has a pricing structure on the basis of per website format. Let’s discuss a few tools which might help you manage the WordPress sites from one dashboard. These tools will let you automating recurring tasks and letting you quickly access different sites, more like tools help you stay on top of updates, backups, and lots of other day-to-day management work. Managing your WordPress sites using this WordPress management tool is pure bliss. It’s a tool that you need to install on your server and that’s the thing I like about it. Since it is self-contained and self-hosted, there is no need to give away sensitive data to someone else. This tool provides master login for all the sites linked to a dashboard at once and altogether. Once you login to your self-hosted InfiniteWP dashboard, you can write new posts, editing site details, and saving site-specific links/notes among other things are just a hover away. 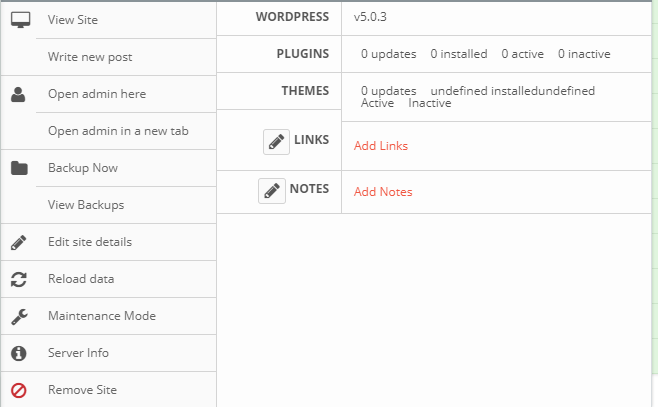 And updating your plugins, themes and the WordPress core using this tool just by one click is truly good. 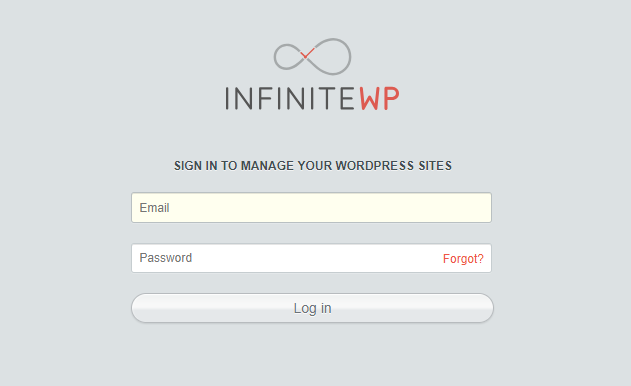 You’ll glad to know that InfiniteWP offers you unlimited backups. And can take full website backups that include your databases and files. The backup feature comes with great options including the ability to optimize your tables, exclude files and folders and so much more. Restoring a backup is a matter of hover, point and click. 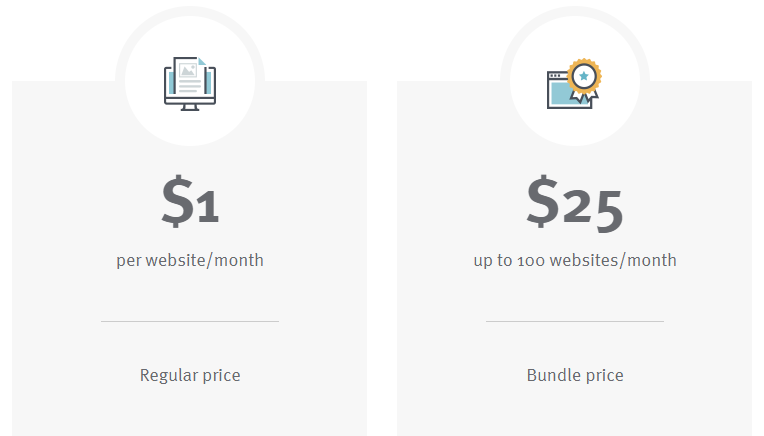 The free plan covers unlimited sites but if you need the premium addons, you will have to pay $147 for ten sites and $647 for unlimited sites per year. Another great tool and probably the best way to manage all your website at once. This service will let you access all your sites from one dashboard and allows you to perform all normal maintenance tasks. More like, you don’t have to access WordPress dashboard again. From updating themes, plugins to deleting post revisions and comment spam to backing up your site. 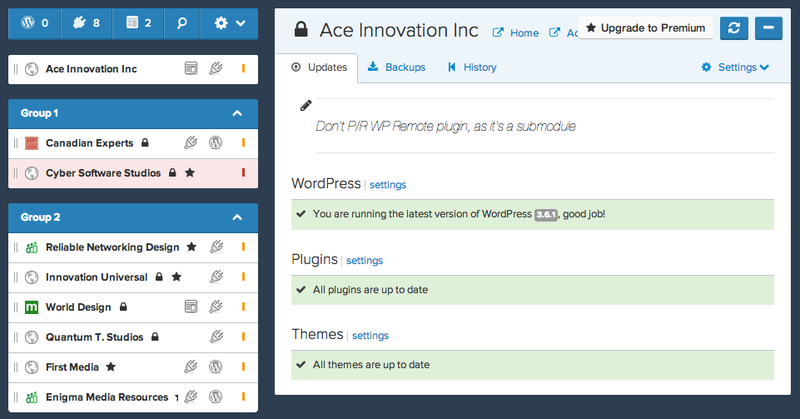 The cool thing is you can also add plugins and themes from the ManageWP dashboard. To use this tool, sign up for a ManageWP account with your email and add your website. 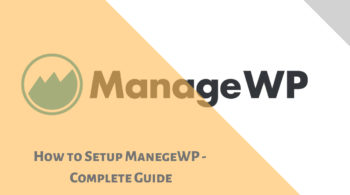 Once you made an account, install ManageWp Worker on your WordPress site that you want to add. Install and activate above plugin. For more details, see our step by step guide on how to install a WordPress plugin. Once you done, look for connection key that you need to verify your website ownership on ManageWP while adding the website. You can find the connection key in plugin page. The platform also comes with good features like Maintenance mode, Google analytics integration and the ability to clone a full website. This platform is fully free with free addons and can add unlimited sites. But you can enabled additional features like real-time backups, white labeling, SEO tools, uptime monitoring and premium reports, security checks, and performance optimization. Prices start at $1 per month per website. Or finally, you can take an all-in-one package for $150/month that contains all addon bundles. a practical interface like the WordPress dashboard. The cool thing about this service is that it allows you to accomplish all the tasks you need to perform on a loop repeatedly in a single step. And also provides an overview of all your websites to have a look over all the websites altogether while providing an update for all the required task at once. However, that’s not all. CMS Commander also allows you to line up a content you need to post later, ahead of time. And comes with Google PageSpeed Insights information, backlink monitoring, the ability to clone websites, automatic backups, maintenance mode and more. More like this tool is really for advanced users. You can sign for free 30 days trial. After that, you’ll need to enroll their premium plans. Packages start at $8 per month for 5 websites, reaching $75 per month for 200 websites. 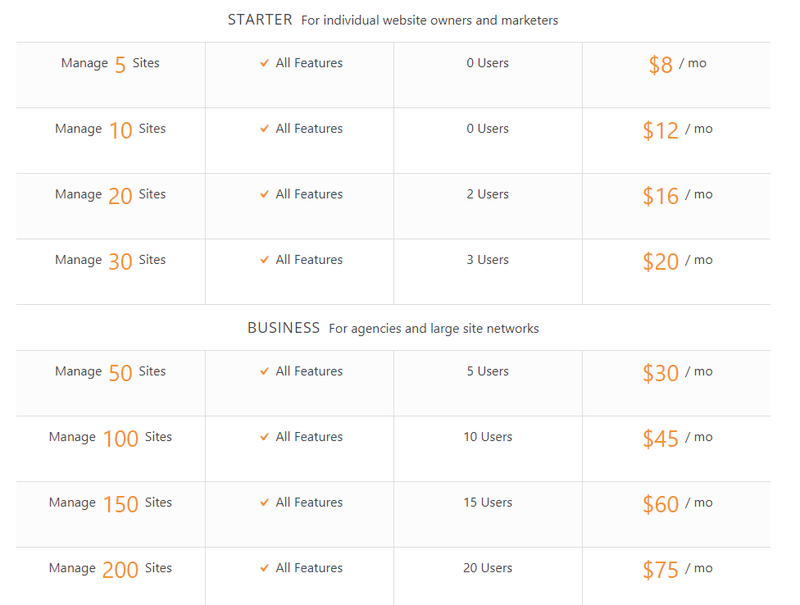 Plus, you can add 20 sub-user accounts for $9/month. Next tool in this list is WP Remote, a fully free and easy-to-use tool that lets you monitor unlimited websites. Even this service don’t offer any premium add-ons. You can say it’s a totally free solution to manage multiple WordPress websites. It has the simplest graphic user interface and hence is very easy for the user to understand the characteristics of the plugin. 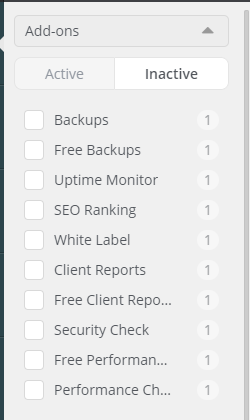 With this tool, you can take the backup, update WordPress with a single click and can see analytics, could perform performance checks, and also enable maintenance mode. Apart from that, this tool uses an API to manage your sites. This means you can access your site without needing login credentials and that’s a nice security feature. With a complete package of security, backup, multisite management in a secluded platform which not only sustains the ease but provides a feature of auto-updating plugin whenever it detects a new update. With inbuilt first aid support, it strengthens the security. One cool feature I want to mention, if you need to restore a site from backup, you can first tell the plugin to create a test site in order to review the backup before restore. In addition to that, iControlWP comes with multi-factor authentication, IP address restriction, and site security scans. It also allows you to manage updates and comments manually and even start new sites from the dashboard. Plan start from 15/month for 10 websites. This package will you gives you basic features like Mobile Push Notif., Vulnerability Scanning, Sucuri Malware Scanner, Bulk Management, Database Cleanup. These are some consider to best management tools you can use. These all tools can let you access all of your website from one location. Depending on your needs like interference, functionality, security. From this point of you, you can choose one of them. 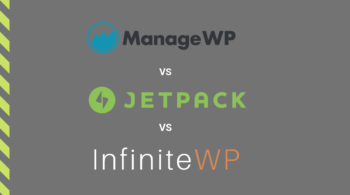 But surely with these WordPress Management tools, you’ll be able to work more productively and can save alot of time. You can comment below to ask something I have missed and can also mention any tool you’re using.